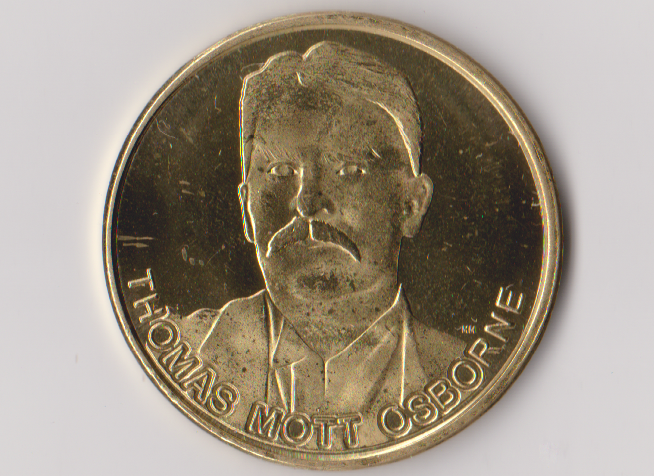 The Osborne Family often gathered people at their South Street library — the only portion of the Osborne Family Estate remaining to rejoice and often solve the problems of those less fortunate. The Osborne-Wright Family's legacy is a nearly forgotten part of the historical foundation of the ‘Corridor of Conscience’ between Monroe and Madison Counties. 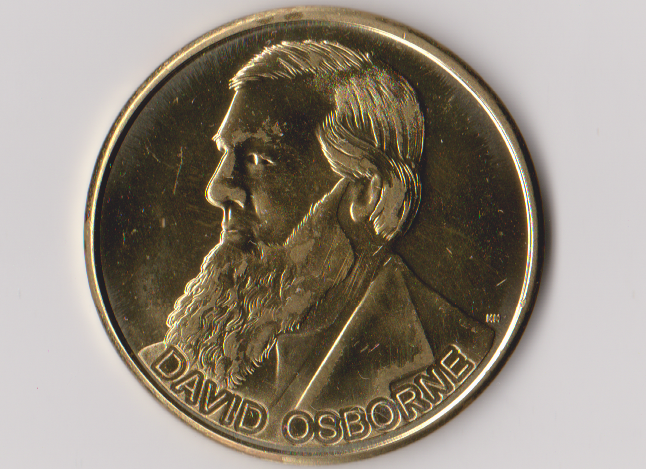 David Munson Osborne, the patriarch of the family, founded and built the D. M. Osborne Company into one of the largest harvesting and farm equipment companies in the world. 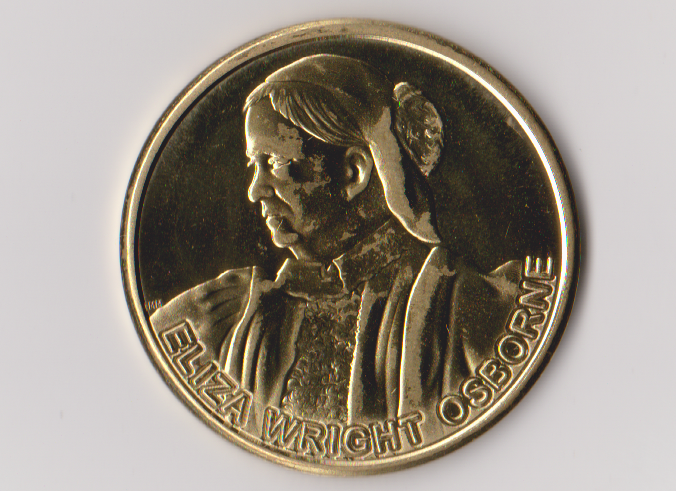 He and his wife Eliza Wright Osborne invested a great deal of its profits in bettering the world including the building of the W.E.I.U. in Auburn. 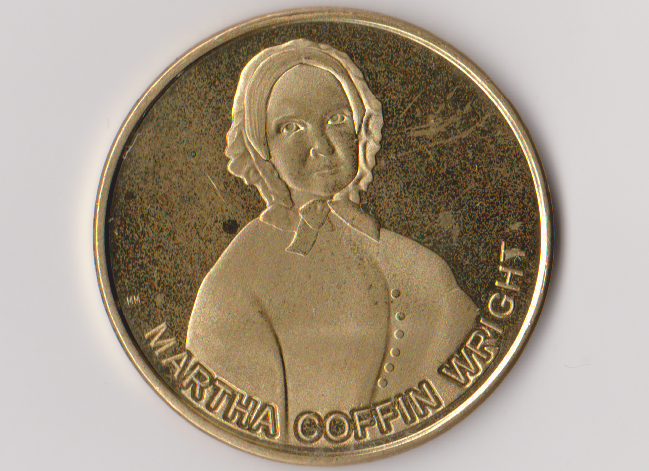 Her mother, Martha Coffin Wright of Auburn, one of the most famous woman of her age, and friends launched the woman’s rights movement. 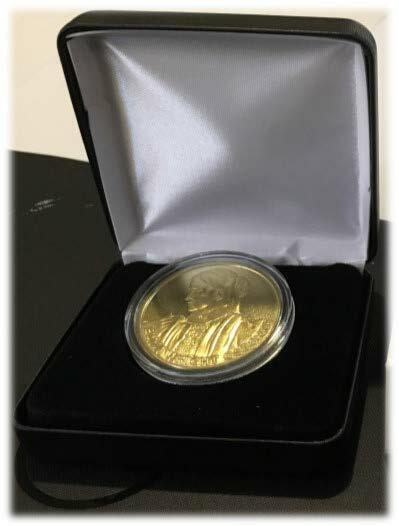 Each commemorative coin is set in a clear collector case with a stand-up holder. 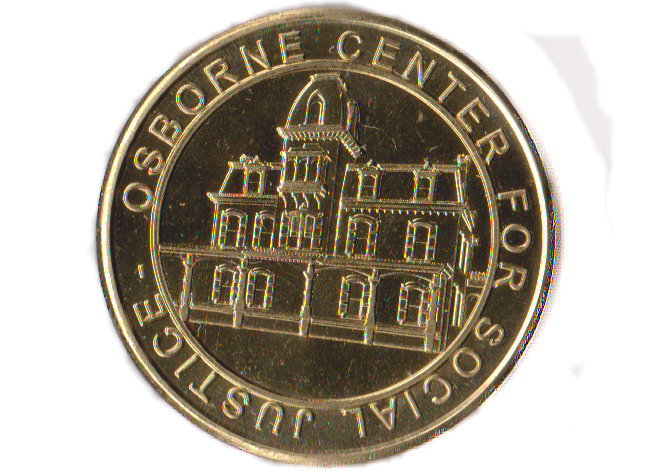 Osborne Family Commemorative Coins are designed, molded and sold by the Osborne Center for Social Justice, a 501[c]3 not-for-profit organization. Email us with your order.